DOCTORS have been urged to err on the side of caution when uncertain about referring deaths to the coroner, after researchers found that a significant number of reportable deaths had not been referred. Of the reportable deaths, 80% were people aged 80 years and over. In 97% of the reportable cases, the coroner changed the cause of death after investigation and one death was referred for inquest. 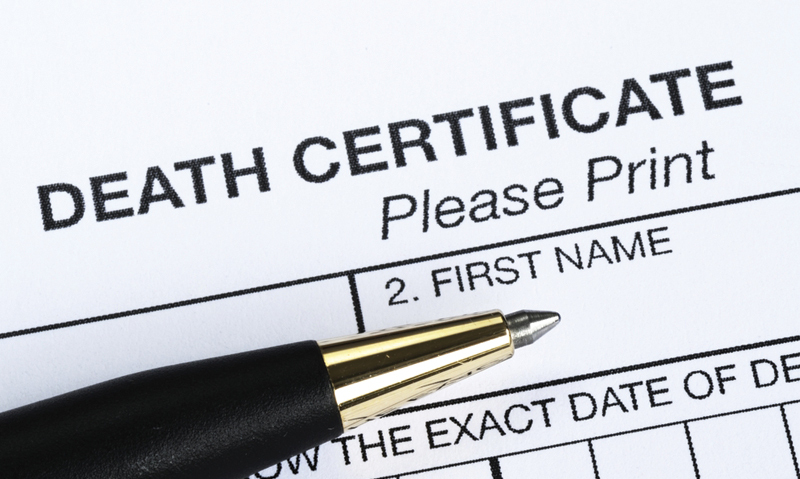 The researchers called for further education of medical practitioners about reportable deaths and death certificates. “While education of doctors … is required, correctly certifying the cause of death or deciding to report the death to the coroner should be an explicit responsibility of the senior, not the junior, doctor”, Professor Cordner wrote. Dr Will Milford, chair of the AMA’s council of doctors in training, agreed that there was a lack of education and guidance for junior doctors in completing death certificates and deciding which cases required referral to the coroner. “Traditionally this is something that’s been left to the junior doctor or for the registrar to sort out with little guidance from the more senior members of the team”, said Dr Milford, who echoed the call to provide greater education and support for junior doctors in fulfilling this role. Professor Jo Duflou, clinical director of the department of forensic medicine in Sydney, said education was key in improving medical practitioners’ understanding of the Coroners Act (NSW). “There’s relatively little training, there’s little ongoing education in the area and the legislation does change from time to time”, Professor Duflou said, adding that he agreed it should be the most senior person in the team who completes the death certificate. He said in NSW — which does not have a system in place for Births, Deaths and Marriages to refer cases to the coroner — about 10% of deaths were investigated by the coroner. Many of the deaths not subject to coronial investigation were still scrutinised via avenues such morbidity–mortality committee meetings and peer-review groups. However, Professor Duflou said resources were finite and, in the instance of falls in the elderly, resources might be more wisely spent on policies to prevent these falls than on autopsies. NSW State Coroner Mary Jerram said NSW did not keep figures on how many death certificates had been issued by medical practitioners for deaths that should have been reported to the coroner. “It has long been my belief that … more comprehensive education of medical practitioners by NSW Health would remedy this to some degree, as most, if not the majority, of improperly issued certificates appear to be from a lack of awareness by the doctor of their obligation to report the death”, Ms Jerram said. Ms Jerram said the power to issue death certificates carried a great deal of responsibility. Dr Milford said it was important to raise the profile of this issue, which still tended to be seen as “taboo”. Should senior doctors in hospitals take full responsibility for overseeing all death certification and reports to the coroner? Senior doctors are experienced, should feel responsibility and train junior doctors for all matters concerning human life whether diseases or deaths. Human errors do occur but there is no excuse for not reporting. When my brother died last October from very aggressive MND, he died in hospital at 10.00pm on the Sunday night, but a doctor didn’t certify his death until the following morning, making his official death Monday 22 October instead of 2200 hours on Sunday 21 October. Is this a common practice and don’t nursing staff record a death if a doctor is not present? I was puzzled by this practice. Yes, some doctors list the time of death when they personally examine the body. Others write the time the nurses realize a patient has passed away. Much of the difficulty as a junior doctor occurs when you are asked to certify a death on night shift. Often you have not met the patient before and have not been involved in their care. In these cases it is not surprising that the cause of death may be wrong as there is limited time to sit down and read through the patient notes before you are called by 10 other wards needing your attention. Called to the home, 68yr old diabetic man deceased, naked on the floor, hasn’t been seen by anyone for a month. I referred to coroner. Coroner called me back to talk me into doing death certificate. She said “if you were to do the certificate, what would you put as cause of death?” I said IHD. She said “that sounds reasonable, and I will back you up”. I said I don’t know date of death. She said to put in a range. Family come in as a group disputing what is on death certificate. Births deaths and marriages complain that date of death was 15th June to 14th July, ie last time seen by me to when he was found. They told me I had to change it. I can’t remember if my reply was “sorry” or “stiff cheese”. In similar circumstances in the future I will dig my heals in and refuse to do the certificate. I think the biggest deficiency with the system is that a cause of death has to be specified even when it is not known with reasonable certainty. The incorrect causes corrupt the data obtained. Patients in nursing homes frequently die without their final illnesses being heavily investigated. Surely a statement that the death was not suspicious or related to care issues etc would suffice. I encourgae my Junior team member to report any death under my team care to coroner especially If there is any unexpected event. Often coroner makes things eaier for us and would say the inquest is not necessary ,as this particular patient was at any way at high risk of sudden events due to multiple comorbidities. We have quite robust discussion in our M& M meeting held once in month for death and adverse outcome reviews by all clinicians. 74yo man sent in from private hospital to ED. Referrer’s diagnosis ‘very unwell’. Turns out he had been admitted for over a week under the referrer’s care – no defitive diagnosis, nothing by mouth and absolutely NO IV input over the same period. Died within an hour of resuscitation being commenced. Referred to Coroner – Coroner had the referring practitioner complete the death certificate!!! So why, exactly, is it being suggested that we refer to the coroner? Is there something I’m missing here?